Chief Mpanshya of the Soli speaking people of Rufunsa District in Lusaka Province has been hospitalised after an illness. And medical staff treating Chief Mpanshya is happy with the way he is responding to treatment. He was admitted yesterday at St. Luke’s Mission Hospital in Mphanshya after complaining of a discomfort. Chief Mpanshya told ZANIS today that he was kept for observation early yesterday when he was brought to the hospital. He however did not disclose the cause or diagnosis of his discomfort but was quick to praise the medical staff for attending to him. And medical staff treating the traditional leader who spoke on condition of anonymity said they may discharge him tomorrow. Yesterday, Lusaka Province Permanent Secretary Wamunyima Muwana and Rufunsa District Commissioner Paul Kasongo visited the Chief and wished him a quick recovery. Chief Mpanshya is instrumental in the allocation of land for the setting up of the new district. The land is for the establishment of a township, district administration and other social amenities. 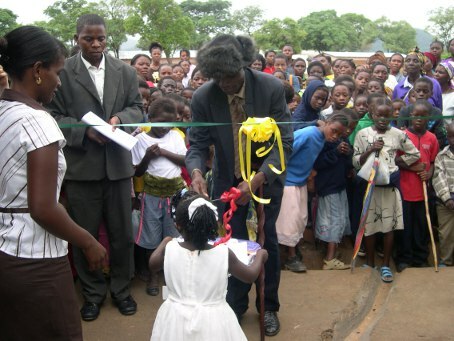 President Michael Sata created Rufunsa as a District in August 2012 as part of his efforts to bring service delivery to the people as close as possible.